The United Nations entity had identified the first decade of this century (2001-10) as the International Decade for a Culture of Peace and Non-violence for the Children of the World. A culture of peace was envisaged to be achieved when citizens of the world would be able to understand global problems, have the skill to resolve conflicts and struggle for justice, non-violence and live in accord with international standards of human rights and equity. In 1989, the International Congress on Peace in the Minds of Men held in Africa urged Unesco to “.help construct a new vision of peace by developing a peace culture based on the universal value of respect for life, liberty, justice, solidarity, tolerance, human rights and equality between men and women.” The report of the Unesco’s International Commission on Education for the 21st Century titled Learning: The Treasure Within suggested that educational process needs to be restructured to draw out the hidden talents in students. The UN declaration and Programme of Action on a Culture of Peace adopted in 1999 emphasised the role of education in promoting a culture of peace. Thus, education may serve as the principal means to create a culture of peace, and by reflecting its basic principles, the curricula can prepare people for the task of developing a culture of peace. Manifesto – 2000 for a Culture of Peace and Non-violence was launched by Unesco in 1999. It laid down the code of conduct for individuals saying that they must respect the life and dignity of every human being . There should be no violence ~ physical, psychological, sexual or social. The Unesco project on “Teacher Education for Peace” is also based on the assumption that effective teaching for peace and international understanding must target teachers themselves because they are the torch-bearers of building a peaceful culture in schools. They should be equipped with the content and pedagogical skills to translate the value of peace, tolerance, nonviolence, human rights and international understanding within the confines of the classroom. In building a culture of peace, education has to play a crucial role. Peace education could infuse the entire curriculum and not just a separate aspect taught in isolation. Children may be acquainted with factors that contribute to practise solidarity, cooperation and respect for citizenship rights among different groups in society, and with factors that improve the realisation of such objectives. Children may be enabled to generalise concepts and procedures relating to peace, cooperation and human rights at the local and national levels so as to develop a concept of world citizenship. They may also be acquainted with different organisations that cooperate at the local, national and international levels to promote peace and human rights and also to understand the role of the international bodies. Children may be acquainted with instances of violation of peace and human rights and the exploitation of international cooperation along with their adverse effects on the quality of life. They may be informed about the struggles and movements for peace and cooperation. Peace education is not a novel concept in schools. In many countries such as Australia, Netherlands, Canada, the UK and the USA, activities in the area of peace education have been in vogue for quite a long time. India has been the home of people with various origins. Ours is a tolerant eclectic society, a democracy in which universally recognised human rights and fundamental freedoms are guaranteed to all without any discrimination on grounds of community or creed. Mahatma Gandhi introduced the lessons of non-violence in education for better manifestation of human sensibilities. Nai Talim or basic education guaranteed the essentials of education nursed in the spirit of non-violence. Several non-governmental organisations like the World Peace Centre have been involved in spreading the message of Manifesto-2000. The National Council of Educational Research and Training (NCERT) came out with its National School Framework for School Education-2000 which lays stress on peace education. The Curriculum-2000 inter alia emphasises education for peace and international understanding. It has stressed the need to infuse a profound sense of nationalism tempered with the spirit of vasudhaiva kutumbakam. The NCERT in its Curriculum Framework for Quality Education stresses the student teachers’ contribution for social reconstruction to resolve conflicts peacefully. 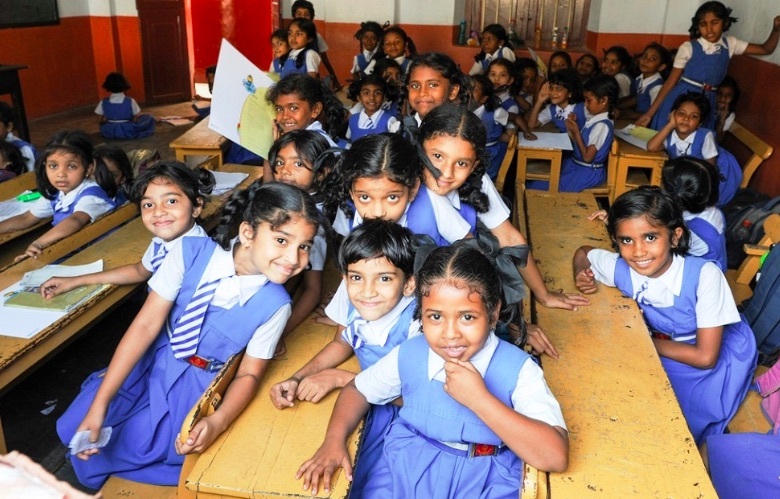 The Indian teachers’ education curriculum at the elementary and the secondary levels includes peace education. So vast is the responsibility of teachers and yet, unfortunately, so little is the attention paid to implement them. Obviously, the teachers must accept their share of responsibility of inculcating good conduct, tolerance and a sense of respect for law and order among the pupils. The children can be taught in the classroom about the nature of conflicts and the way they can be resolved. They can be taught as to how to deal with conflicting situations, forgive others and inculcate in themselves the seeds of tolerance which is the need of the day. They should be told that a multi-religious society like ours is particularly vulnerable to the poison of intolerance. Holistic education lends itself to endless possibilities for innovation. If the goal of education is freedom from ignorance, freedom from dependence and freedom from prejudice, then it is time to ask ourselves whether our education has enabled us to acquire the necessary competence to understand the world in which we live, to develop the skills to live independently and also to live collectively. Harmonious coexistence of multiple identities is the core of human civilization. Sharing is the basis of civilised collective living in a civil society.